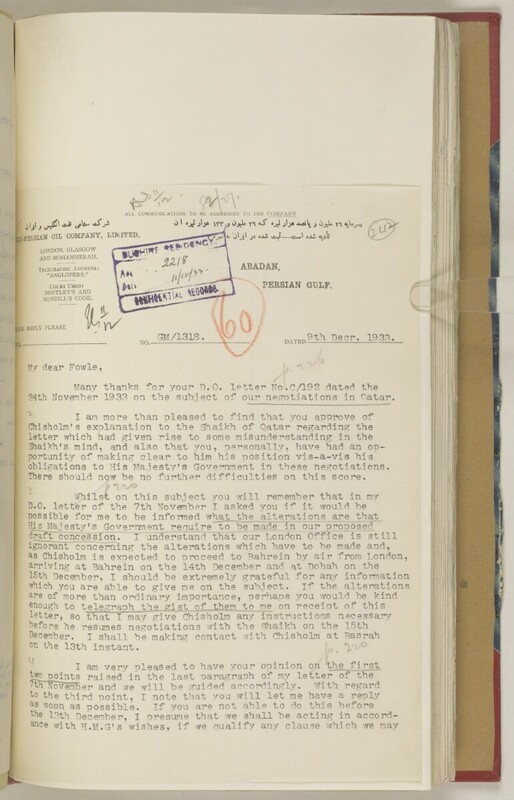 24th Novernber 1933 on the subject of our negotiations in Oatar. obligations to His Majesty's Government in these negotiations. There should now be no further difficulties on this score.